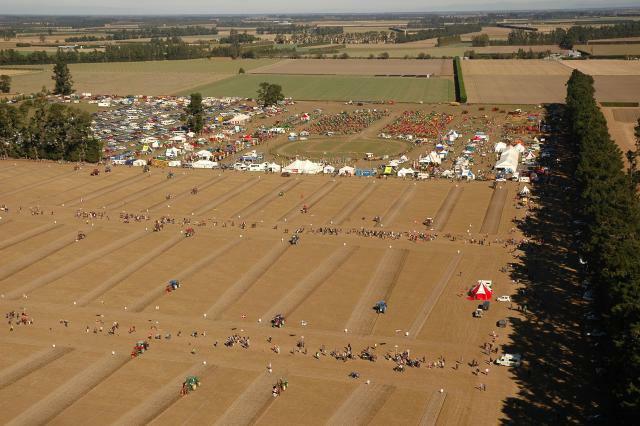 Following our return from the High Country we recorded the "WORLD PLOUGH 2010" event at Methven... which was jolly interesting. We met people from all parts of the world, and it was fun trying to understand each other. Sign language goes a long way.. and pigeon english! At an event like this you get to see the rest of the world without leaving our own country!!! Yes, it was great fun, and although we managed to catch up with many old friends, meeting new people and making new friends was extra special. After leaving Methven we travelled south to Mandeville, Gore in Southland where we spent some time testing DH Dragonfly ZK-AYR. 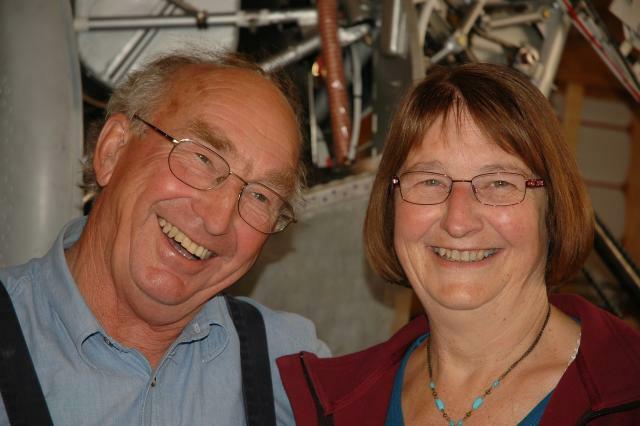 At Mandeville, Colin and Maeva Smith are the owners of Croydon Aircraft Company... a world class little factory restoring vintage aircraft mainly of the de Havilland type. Their enterprising team work on some fantastic old 'planes. It is a joy and a pleasure to see them bring these lovely wooden structures back to life. 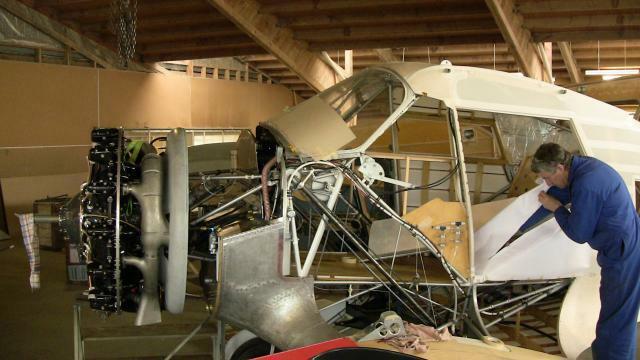 The skill and craftsmanship shown at Croydon Aircraft Company is incredible in today's throwaway society. You can see it in the peoples faces; you can see it in the work they do. The care and devotion is truly amazing. Colin and Maeva are two great people with a huge vision and tons of experience. They opened their doors to us; and it must be said, that without their kind generosity we could not have done what we did. Among their many good natured staff, Ryan Southam is their Chief Pilot and is an extremely talented man. He has skills others can only dream of! He can fly all the aircraft at Croydon, and test flys most of the rebuilt 'planes. We couldn't have got a better pilot to fly with. We had the upmost faith in his ability to do what we wanted to do. Ryan is also a very friendly fellow, one who is always ready to explain the inner workings of some technicality or other. 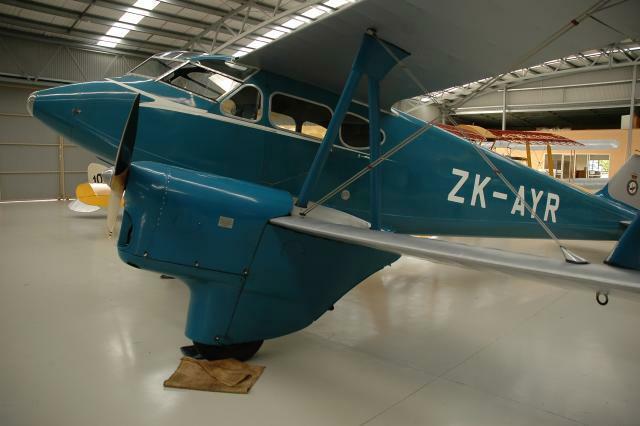 It is at this place where the last surviving DH Dragonfly in NZ lives... ZK-AYR. It is also one of only two left in the world, and the only one certified to carry paying passengers. Luckily it was not too far for us to go to test it out. Over a week period... dodging rain squalls and things, we thoroughly tested the aircraft. As Ryan fly's all the aircraft at Croydon, he is able to advise us on the benefits or failings of each for photography purposes. 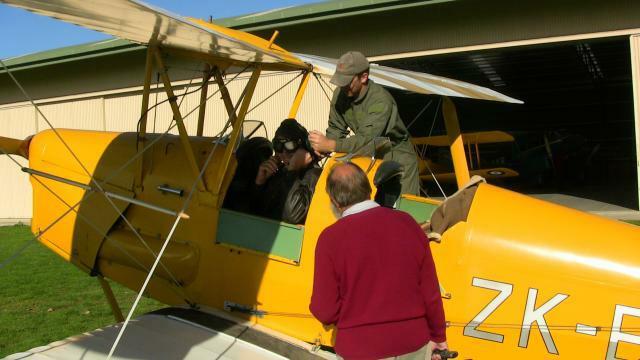 He suggests the Tiger Moth could do as would prefer doing the air to air footage from two veteran aircraft. But although I went up for a flight to check it was not any use. There was limited room in which to be able to swing a camera. The video camera was squashed against my face so tightly I couldn't focus my eyes on the screen, let alone be able to see what I was filming in the background. So we had to look for a more modern aircraft. Colin and Maeva made some inquiries around local pilots they knew. 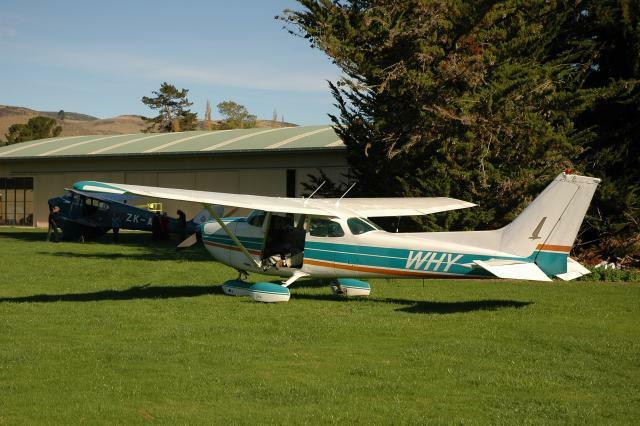 Finally they found a Cessna 172N from the local aero club at Gore. It was flown out by a pilot friend of Ryans. Upon arrival Ryan removed the passenger door so we would be able to film air to air with the Dragonfly. Gosh! 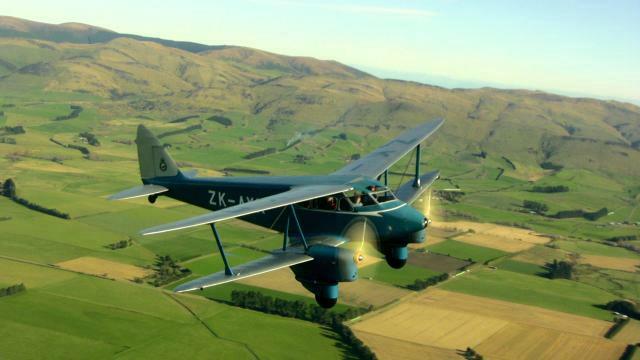 I was cameraman on that flight, with Simon behind me with a backup camera running. With the passenger seat was removed as well, I had to sit on the floor of the cabin with my legs cross legged in front of me, and my back against the Pilots seat. 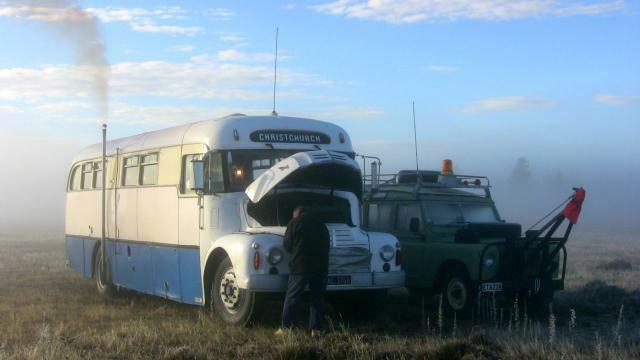 I was protected from the wind by sheltering behind the front bulk head or firewall/dashboard. As the seat belt was fastened to the floor of the cabin, I had that clipped around me, but we were concerned it might not of been enough... considering I would basically be swinging on it from 3000ft or so! In my imagination I could feel myself already falling through space at 10,000 MPH in line for a particularly nasty bump on the head... and that didn't appeal to me in the slightest! However, Simon came up with a bright idea. A strop (truck tie down) was passed round me, round the pilots seat, under Simon's seat where a large knot was tied... and Simon sat on the knot just to make sure!!!! So with both the original seat belt and the strop, I would be safe as a house! Both planes took off together and soon merged into formation so we could start the video rolling. I soon realized I could not pan the camera successfully with my legs crossed. When the Dragonfly passed low down the camera had to point down. Thus it bumped into my knees! I had to shift... it mean my feet had to go out the door... into the full blast of a 185MPH slip stream. Within seconds my leg was frozen. It went numb! After 5 minutes it didn't matter about my leg because I couldn't feel it to start with! 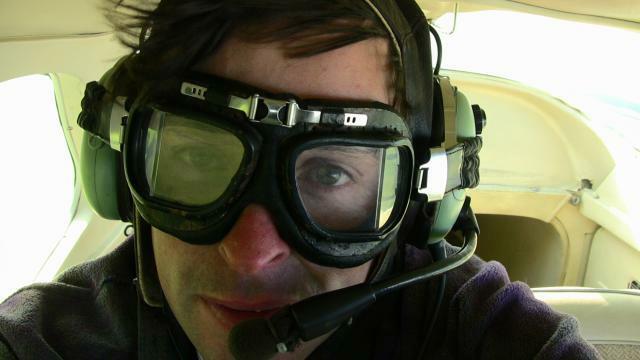 In the Cessna, Simon and I were issued with radio head sets so we could talk to our Pilot. This mean I would be about to give our Pilot directions, like "come up a bit", "drop down a bit" or "slacken off a little then come past in a hurry and peel off when I say to". These instructions were promptly forwarded to the pilot of the Dragonfly. he was freezing cold... his teeth were chattering nineteen to the dozen, and his face had turned blotchy red! He had his goggles on to protect his eyes from the blast of cold winter air pouring through the open door. Simon had been getting the full brunt of the blast and hadn't let out a peep about it! He had stayed at his post and kept on filming the whole time, and was rewarded with some of the most incredible air to air footage! I felt really sorry for Simon, because although my own legs no longer felt part of me, I was reasonably sheltered behind the front bulkhead or instrument panel. I couldn't see the Pilot as my back was firmly against his seat, but Simon told me later the Pilot was starting to feel most uncomfortable too. In the comfort of the cabin of Dragonfly ZK-AYR our Mother and Father flew with Pilot Ryan. They knew nothing of the hard time we were having until we landed. But the close formation flying made them tremble a bit at times. In fact, even I got a bit worried a few times at how close the two 'planes were. Not having done air to air photography before I wasn't use to flying so close, and believed it would have been a lot safer than we thought. However when we flew over some hill country to get a different background, the turbulence became quite rough and two aircraft seemed to lurch toward's each other with an uncanny motion that made me fearful of what could happen. It became so bumpy that my fear overcame my good sense, and I asked the two pilots to separate a little. The flight was a great success... even though my boot laces came undone and frayed the ends in the wind! Upon landing I couldn't walk for sometime... my legs were like a jelly, and they needed thawing out before they returned to normal. After all, what do you expect if you go hanging your legs in a 185mph gale? After other business in South Otago we headed north once more via Roxburgh to Alexandra to meet Evan Blanch and his wife once more... then back to Wanaka to see Don Middleton then through the Lindis Pass to Omarama where we saw Lex and Jan Perriam before continuing on to Twizel where we stayed for 3 or 4 days while we waited for the right weather to fly with Air Safaris. 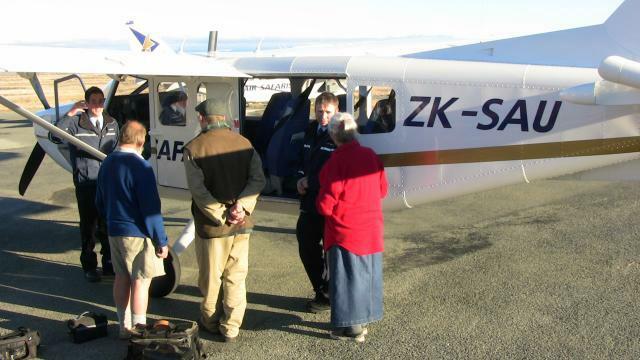 The day we flew with Air Safaris dawned bright and beautiful although a fair amount of morning cloud. None the less we made our way north to Lake Tekapo Airport where we had an early lunch whilst waiting to see what the weather would do. 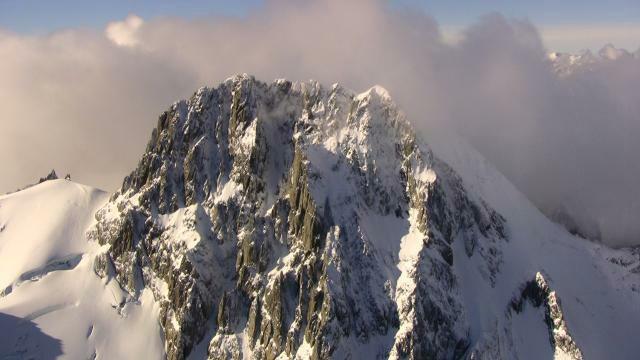 About 1PM a 'plane took off for a trip around what is known as the "Grand Traverse", a flight around some of the most renown peaks of the Southern Alps. I booked a seat and went along. The Pilot, Tom Bradley, was extremely helpful... placing the aircraft in the best position for photography purposes. The other passengers were delighted at the views we encountered because of Toms skillful flying ability. We flew up Lake Tekapo into the Godley Valley, round Mt Conrad and directly over the Armadillio Saddle to the head of the Murchison Glacier. Passing over Starvation Saddle then the Tasman Saddle Hut, we passed under the lee of Mount Elle De Beaumont. This inspiring peak seemed incredible close... so close in fact, one would imagine you could reach out to touch the snow... lovely soft snow. It was to the north of our course which continued round over the Franz Josef Glacier, and the Fox Glacier where we soon looked up to see Mt Cook towering above us on our left hand side. 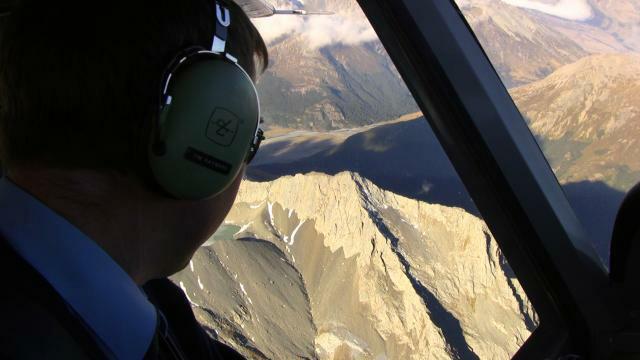 After passing round to the south of Mt Cook we circled The Hermitage and gradually descended to land at Glen Tanner where we dropped the other passengers off. 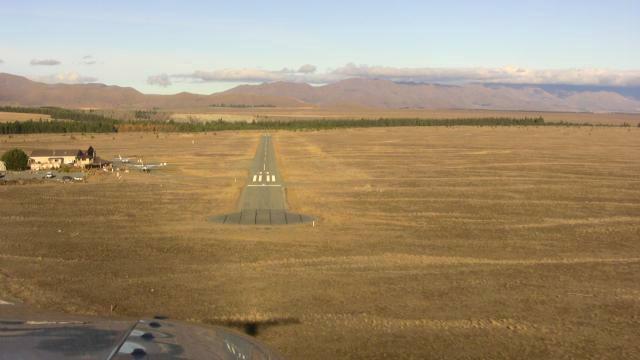 Tom and I then flew back to Lake Tekapo Airport alone. Just before I left the weather cleared and became bright and sunny with a beautiful blue sky. 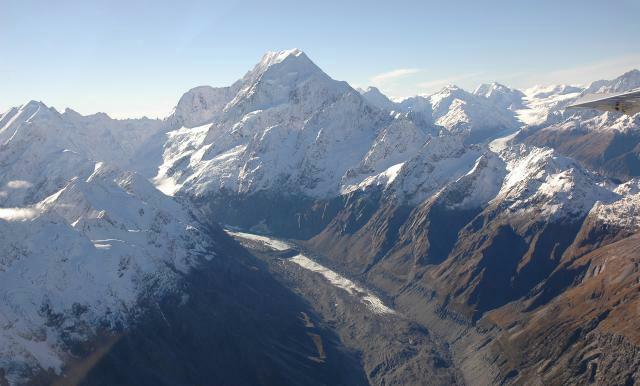 The day was truly glorious as we flew up the Godley Valley. The craggy mountain tops and the sheer grandeur of the landscape from our height (around 10,000ft most of the flight) was breathtaking to the extreme! I was left gasping at the scene constantly unfolding before my eyes. Although I had little time (my job was to video and photograph the terrain we were flying across) for gazing about, the brief glimpses I caught now and again made me shiver with excitement. So, less than 15 minutes after my return, we were all airborne and heading for the main divide. Tim Rayward, Richards son, was our pilot on this flight. Indeed there was quite a rumpus over who was to be the lucky one to fly us. I think Tom was disappointed, but accepted it like a hero! A lump came into my throat as I peered down through the afternoon sun into the little nook where we camped for so many weeks. Only this time it was hidden in shade. We all felt nostalgic as we looked out to see and remember the places which now held so many memories... the ledge I got caught on late one evening, the "ford" where Simon washed one of the Land Rovers, and the stretch of river where I carried Bobbie across on my back, just because he couldn't be bothered with removing his shoes! My Mother was stunned to be able to look down and pass across in a few minutes the great expanse we had toiled over for several days with Land-Rovers, caravan and trailer. The large boulders, the swift icy rivers... it all looked at peace from so high above. The danger was forgotten... the moments of terror she had felt were no more, only the great beauty of what lay before my Mothers eyes. For although she isn't really brave, my Mother does enjoy being with us, no matter where we venture. Simon pointed out the dead horse... a stark reminder of a horse trek a couple of seasons back that had a sad ending. A riding club had been up the Huxley River and was returning through the last river crossing in the Huxley Gorge when one of the horse's slipped and broke a leg. Unfortunately the horse was shot and the carcass left there... something we pass each time we go through the gorge. Lucky the smell isn't so strong these days! At one time we would bury our heads in hankies as we passed; now we just look the other way... and think of lavenders and roses etc! But I have got side tracked. Sorry! As we flew over these memorable places we were filming the area for later study. Our flight path was pretty erratic as we would detour to get a closer look at some Thar or take a better look at some hidden valley. Tim was a marvel. I was in the rear seat at the back of the 'plane giving directions via the intercom to Tim. The GA8 TC320 Airvan that we were using has a single rear seat at the end of the two rows... which meant that I positioned in the middle of the fuselage at the back with a splendid view out each side of the aircraft. It was brillant for filming from as I could video out either side depending on which had the best view at any given time. Because of this I was, as I said, directing Tim. But although I knew what shots we wanted to do, a couple of times I got really confused... not only because I started to get pretty muddled and not know where we were, but also I didn't know the best way to get the 'plane into the correct position. For instance, at one stage we wanted to circle several peaks to get some video panning the craggy tips which were lightly covered with fresh snow. After several failed attempts to get Tim to do what I wanted, I told him basically what we wanted and asked him what he suggested... the outcome was spectacular to the extreme. He nicely banked around one mountain top partly hidden in cloud... and I called over the intercom to say, "... that's just fine; keep going, keep going..." and to my father who doesn't like banking too sharply, "I'm sorry, you'll just have to hold your stomach in! This is too good!" Eventually the light began to fade so we reluctantly turned for Lake Tekapo, and I said to my family... "Take a last look everyone... 'till we return next time!"